Terry L. Sibert, age 55, of Alexandria, left this life and walked into the arms of Jesus on Monday, September 3, 2018, with his family by his side. A funeral service will be held at 11 a.m., Saturday, September 8, 2018, at New Life Christian Church in Alexandria with Pastor John Taplin officiating. Burial will take place on a later date at the Zion Lutheran Cemetery, North Effington Township. Visitation is from 5-7 p.m., Friday at the Lind Family Funeral Home in Alexandria and will continue one hour prior to the service at the church. Terry Lane Sibert was born on March 5, 1963, to Ronald and Marilyn (Hollatz) Sibert in Minneapolis and the family moved to Parkers Prairie shortly after. Terry attended Parkers Prairie High School and graduated in 1981. He was united in marriage to Colleen Marie Nolan on July 27, 1985, and again on January 1, 2010. Terry enlisted in the United States Air Force and was honorably discharged in 1990. He then began working as an Avionics Technician for the Boeing Corporation. Terry and Colleen moved to Alexandria in 1995, and Terry went to work at Brenton Engineering until his health no longer abled him to work. Terry loved his family and enjoyed spending time with them. Terry and Colleen raised four children, Erin, Terry Jr (T.J.), Matthew and Kayla. 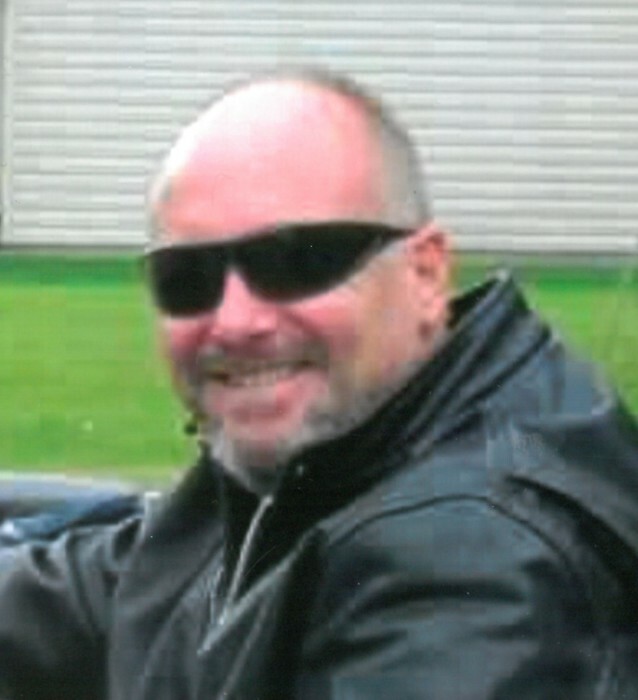 Prior to his paralysis in 2010, Terry enjoyed hunting, playing softball, and loved riding motorcycle. Terry loved the Lord and knew the Lord loved him unconditionally. He lived life on life’s terms knowing his hope was in Christ. Terry was a member of New Life Christian Church and was also a grateful member of several 12-step groups. Terry believed in being of service to others and volunteered at the Douglas County Jail, served on the Andhe Disability Services Board, and continued to mentor others. He was an inspiration to others and believed in leading by example. He will always be remembered for his smile and sense of humor. Terry was preceded in death by his father; and grandparents. Terry is survived by his wife, Colleen of Alexandria; four children, Erin (Floyd) Keller of Bemidji, TJ Sibert of Alexandria, Matthew Sibert of Honolulu, Hawaii, and Kayla Sibert of Alexandria; mother, Marilyn Sibert of Parkers Prairie; brother, James (Jody) Sibert of Colorado Springs, Colorado; grandchildren; and nieces and nephews. Memorials preferred to the Minnesota Paralyzed Veterans of America and Andhe Disability Services.